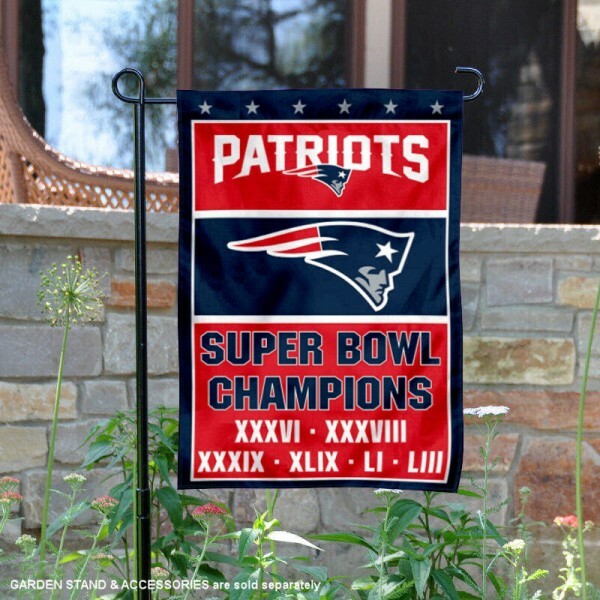 Our New England Patriots 6 Time Super Bowl Champions Garden Flag is perfect to show your team allegiance in your front garden, entranceway or by hanging from your mailbox, windows or walls. This garden banner hangs vertically, measures 12 (w) x 18 (h) inches, and provides a 1.5 inch top sleeve. Made of thick 1-ply 300D triple spun polyester, the flag is screen printed with the NFL Officially Licensed team insignias as shown. Since our New England Patriots 6 Time Super Bowl Champions Garden Flag is double sided screen printed, the team logos are viewable and readable correctly on both sides. 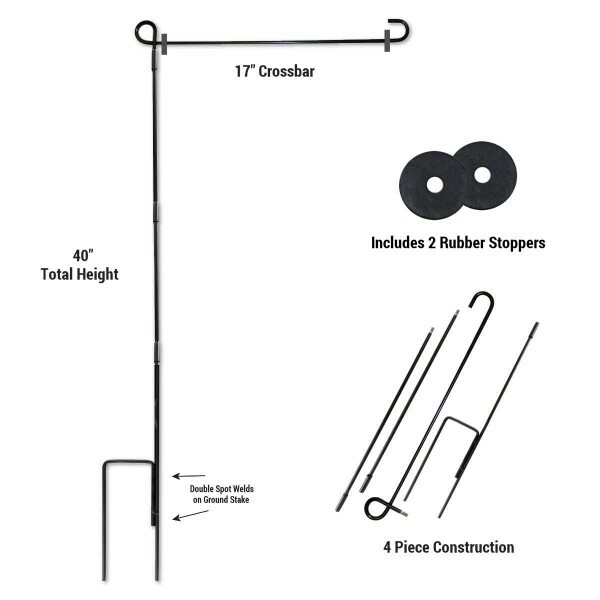 Hang this double sided garden flag with our Adjustable Height Garden Stand, Mailbox Flagpole, Mini Banner Pole or Window Hanger. All flag accessories are sold separately.